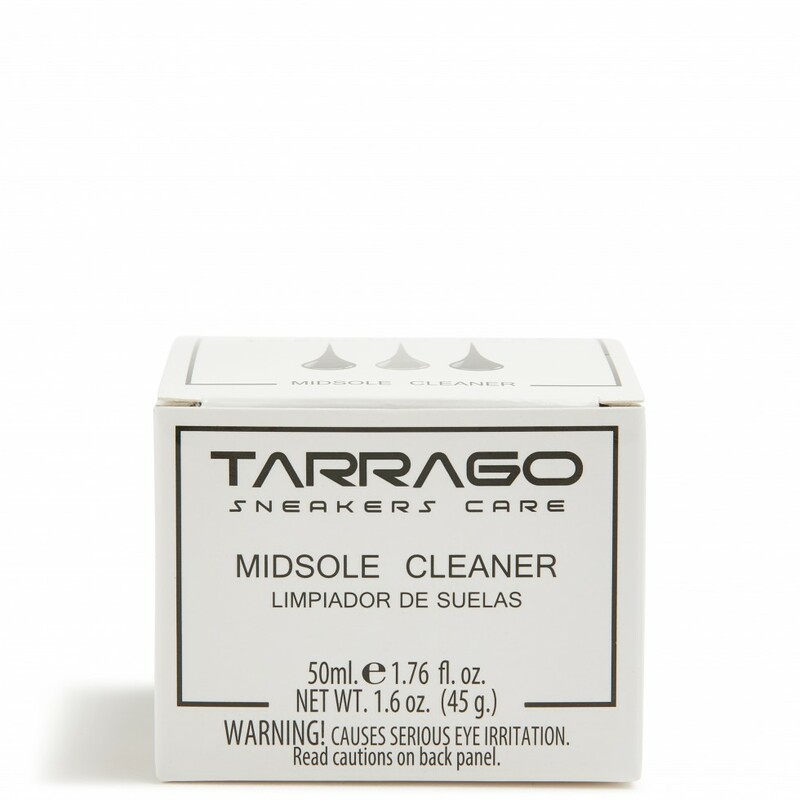 Tarrago Sneakers Midsole Cleaner (50ml) is a cleaning cream with bamboo essence, specially formulated to eliminate dirt and paint on the midsole. 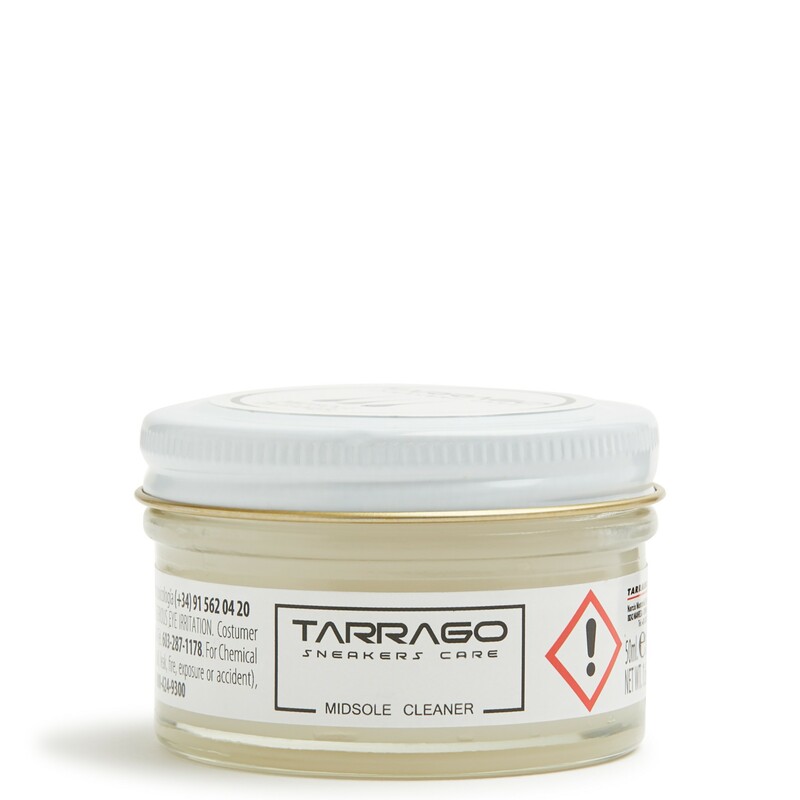 The Tarrago Sneakers Midsole Cleaner is an efficient solvent based cleaning cream with a pleasant bamboo essence. Specially formulated for effective cleaning of all types of midsoles. With its easy, quick and effective use, your Nubikk midsoles will be perfectly clean in no time. Suitable for all colors and all types of midsoles. 1 – Apply the cleaning cream with a paintbrush, covering the area to be cleaned completely. 2 – Let the formula work for a minute. 3 – Brush the surface with a sneaker brush, using water to eliminate dirt and paint remains. 4 – If necessary, repeat the process. We recommend doing a test on a non-visible place before using it. • Jar 50ml/1,76 fl. oz. • Clean three pairs of sneakers.